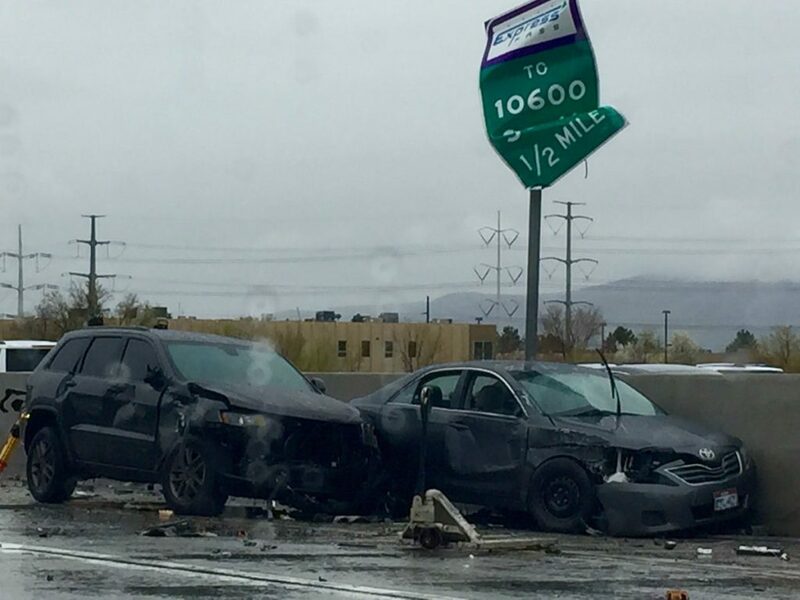 ST. GEORGE — One man is dead in the aftermath of a five-vehicle crash that shut down a portion of Interstate 15 for several hours Monday afternoon while crews cleared the wreckage. 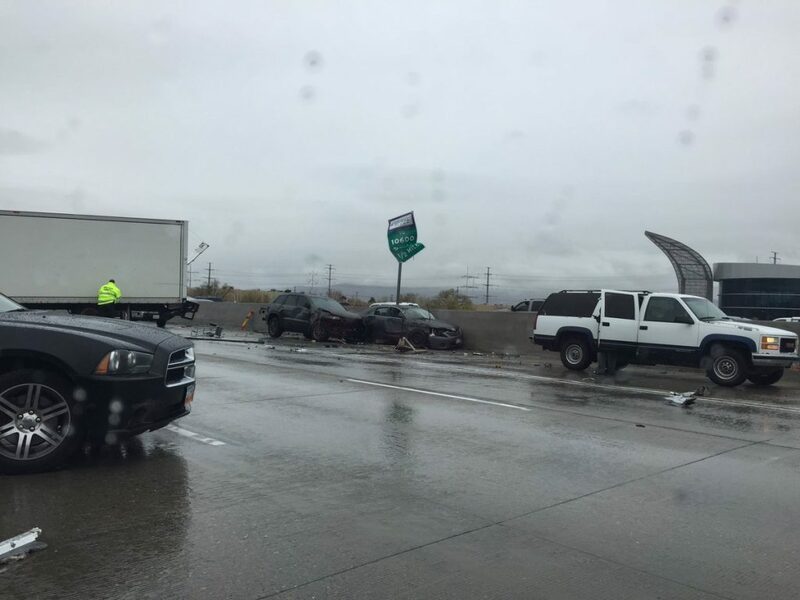 Just before 1 p.m., Utah Highway Patrol was dispatched to the scene of the crash just north of the 12300 exit on northbound I-15 in Draper. 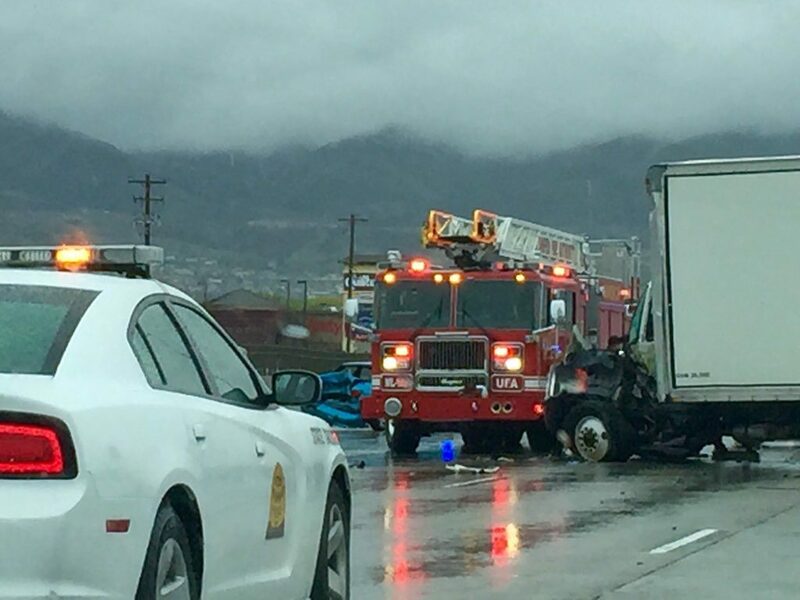 Initially, the driver of a box truck rear-ended a small passenger car, Utah Highway Patrol Sgt. Todd Royce said. 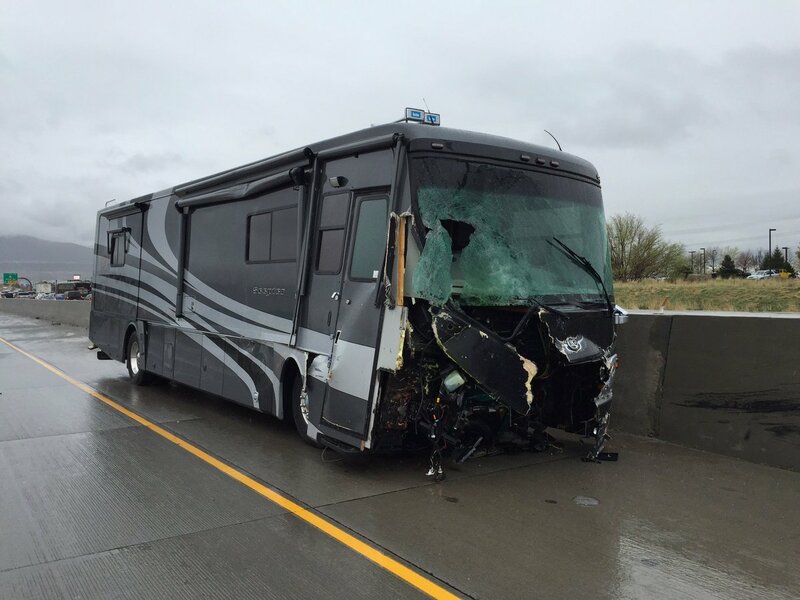 As that collision occurred, a large RV coming from behind slammed into the driver’s side of the box truck. “When the motor home impacted the box truck, it was on the driver’s side right on the driver’s door – that killed the driver of the box truck,” Royce said. “There were two other cars involved as well that kind of got tangled up in the debris and the mess,” Royce said. In addition to the fatality, some minor injuries were reported. None of those injuries were life-threatening, he said. Though the exact cause of the incident is still under investigation, preliminary information indicates the initial rear-end collision likely triggered the fatal wreck. 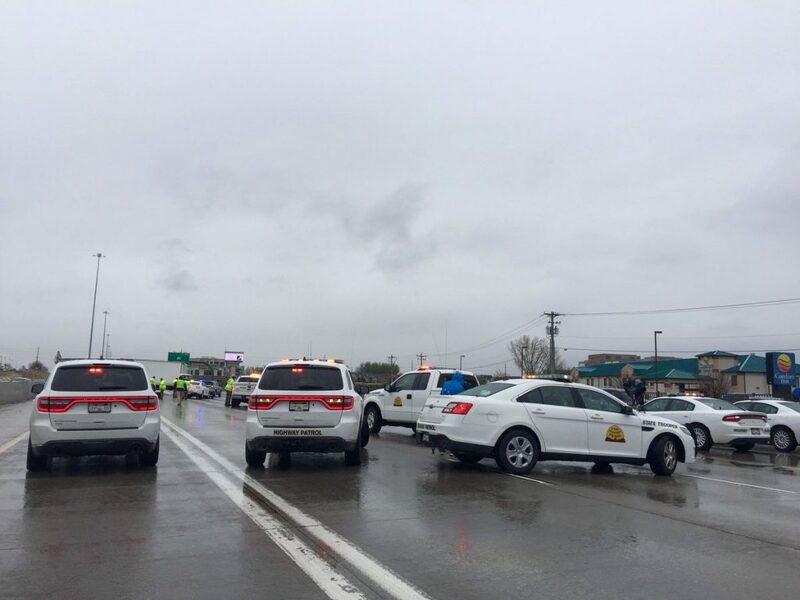 Debris and wreckage lay strewn around the badly damaged vehicles, causing the entire portion of the Interstate to be closed for several hours while emergency crews cleaned up the scene and troopers investigated the incident. Authorities have yet to release the name of the man who died in the crash.